Anne Todd, 97, of La Porte, went to be with her Lord and Savior Jesus Christ on Sunday, April 1, 2018 in La Porte, IN. She was born July 1, 1920, in Stickney, IL, to Clarence and Henrietta (Niemeyer) Bulthuis and grew up on a farm on Wolf Road in La Grange, IL. She has lived in La Porte since 1960. On October 1, 1943, at Western Springs Christian Reformed Church in Western Springs, IL, she married Mark Todd who preceded her in death on Nov. 17, 1993. 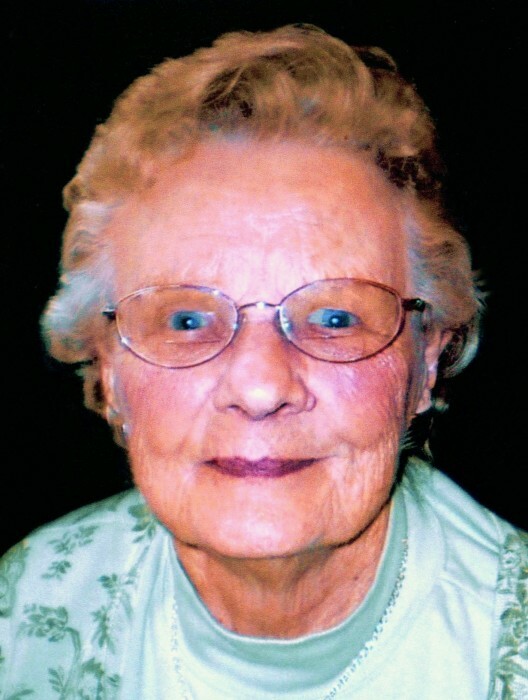 Anne was a faithful member of the former First Reformed Church in Three Oaks, MI, where she served as chairperson of the women’s guild, was a Sunday School teacher and served in many other capacities. For 46 years, she found much fulfillment serving as a volunteer with the La Porte Hospital Auxiliary, working up until the day she broke her hip three years ago. Hospitality was her strong point and she was always prepared to open her home to impromptu guests. Every Saturday she would bake a cake “just in case” the opportunity arose to ask someone over. She and Mark raised their children to love the Lord and they, in turn, have raised their children the same. “One generation shall praise your works to another, and shall declare your mighty acts.” Psalms 145:4. Surviving are her five children: Carolyn (George) Bosman of Elmhurst, IL; Robert (Mary) Todd of Three Oaks, MI; Marcia Wolff of Rolling Prairie; Susan (Tim) Herwaldt of Holt, MI; and Glen (Kathy) Todd of La Porte; 18 grandchildren: Shari LeGrand, Barb Stoll, David Bosman, Kristi VanderWal, Joy Steffen, Dan Todd, Marisa McAllister, Kyla Tanksley, Jena Stroud, Matt Herwaldt, Lynne Lawton, Erin Lewandowski, Marcy Hall, and Andrew, Angela, Aimee, Allison and Austin Todd; 36 great-grandchildren; three sisters, Florence Stoub of Chicago, Jeannette (Louis) Van Dyke of Elmhurst, IL, and Harriet Neitzel of Oak Lawn, IL; many loving nieces and nephews and many, many friends. Besides her husband, she was preceded in death by her parents; three sisters, Grace Niemeyer, Pearl Bulthuis, and Angeline Bulthuis; and one brother, Clarence Bulthuis. A Celebration of Life Service will be held at 11 am (CT) on Saturday, April 7, 2018 at Cutler Funeral Home and Cremation Center. A private burial will take place at Posey Chapel prior to the service. A time of visitation will be held from 4 - 8 pm (CT) on Friday, April 6, 2018 and from 10 am (CT) until the time of the service on Saturday at the funeral home. Memorial contributions may be made to the La Porte Hospital Auxiliary, PO Box 250, La Porte, IN 46352. Condolences may be made online at www.cutlerfuneralhome.com.